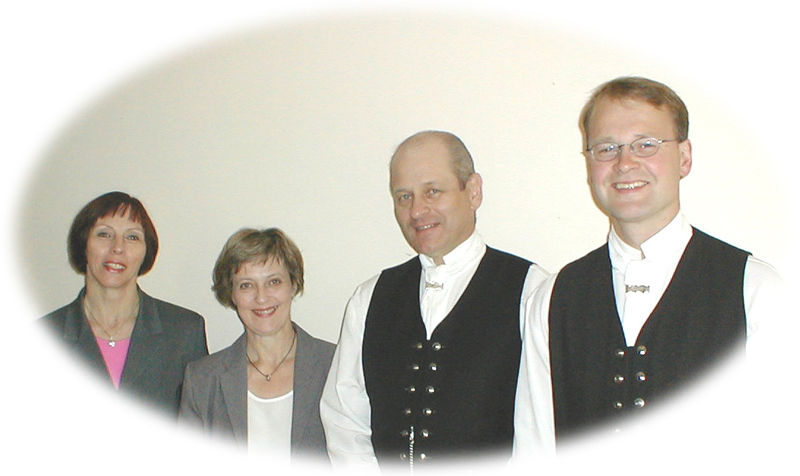 This page is about A Cappella mixed quartet from Iceland. "Perluvinir"The members of the quartet, "Perluvinir" live in Gnupverjahreppi in the southern part of Iceland. The quartet was founded 12 years ago and has performed together on various occasions both locally and throughout the country. The quartet has entertained both local residents as well as tourists. The quartet has also performed in various ceremonies within the church. The quartet published a CD in the summer of 2000 featuring 19 songs. Most of the songs are Icelandic and they are all performed without instruments. Þorbjörg Jóhannsdóttir is the quartets trainer.